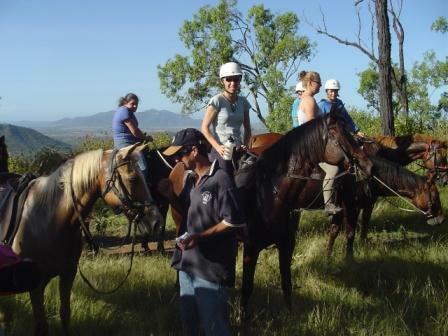 Alligator Creek Horse Trail Riding Club is based at Alligator Creek, a rural suburb 15km South of the city of Townsville in North Queensland. While the Club is based at Alligator Creek, it holds rides, and has members from all across the broader Townsville region, from as far as Ayr, Charters Towers and Ingham, as well as all the outer suburbs of Townsville. The Club is small and friendly with an average total membership of 25 and ride numbers of between 3 and 18 people per event. The Club usually conducts a trail ride every fortnight. Club rides vary from 3-4 hour rides around the local Townsville district to full day and weekend campout rides at areas further away. The Club conducts a variety of trail rides catering for riders with a range of experience and interests, highlights include: Moonlight rides (held on the full moon) Beach rides Rainforest rides Historic areas The annual ride calendar usually includes rides at the following locations: Alligator Creek Cungulla Beach Major’s Creek Woodstock Black River Ravenswood Mt Fox Cardwell Hidden Valley/Paluma.